There are a whole range of root vegetables and most of them are also starches – a type of carbohydrate. Basically, some plants store glucose as starch – giant chains of sugars. So when it comes to root vegetables and starches, are they safe for type 2 diabetics to eat or not? Even if there isn’t a great deal of evidence to show benefits of root veggies for type 2 diabete, having a wider variety of foods keeps things interesting and it also provides a wider range of vitamins, minerals and nutrients to the body. As this article sums well: the thing that influences blood sugar and A1C the most is the total carbohydrates consumed. The bad news is that cooked root and starchy vegetables don’t come with a label and you need to look for nutrition facts on the web or in diet apps, but these facts ignore the butter, oil or water that were incorporated. The good news is that DietSensor will be able to read the cells of such cooked foods. As long as it remains homogeneous, any fat or water incorporated will be seen by the sensor and the resulting nutrition facts will be added to your meal with a mere click of a button. 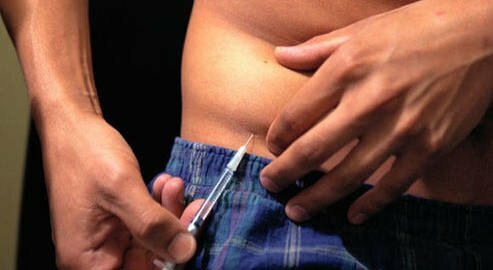 All of those factors make getting the right amount of insulin a difficult balancing act. Too much insulin can cause blood sugar levels to dip dangerously low, leading to confusion and mood changes, or even seizures and death, according to JDRF (formerly called the Juvenile Diabetes Research Foundation). Too little insulin leaves blood sugar levels too high. Over time — in addition to making someone feel tired and thirsty — high blood sugar levels can eventually lead to a higher risk of long-term complications, such as heart disease, vision problems and kidney disease, the ADA says. People with type 1 diabetes have to become nutrition experts and learn how to count the carbohydrates in their food. It’s the carbohydrates in foods that get processed into blood sugar in the body. Then they need to learn a mathematical formula to figure out how much insulin they’ll need. Insulin pumps may help with the math, but they don’t do all the work — not yet, anyway. How comes that the first thing that affects blood sugar (carb consumption) is the least automatized part of diabetes management? The idea at the root of the DietSensor’s project was exactly this one. We can go on the moon, we can instantly connect to anybody on the planet, but we have nothing to tell us the carbs in our plates. For many of us, THIS is a vital information. Let’s change this. Let’s make DietSensor a tool able to change lives! Having diabetes doesn’t mean the game is over. Here’s how to score a touchdown against the disease. DietSensor will provide you with the easiest solution to count the carbs in your meals before eating! Beyond carb counting DietSensor is about food choices for healthy diet: you scan your food and DietSensor provides you with the best advice for an balanced meal. Know how much you need, know which kind of food you need to add to your meal. As a diabetic it’s best to stick to low carb options if you want to lower blood sugar. What are the pasta options? Let’s take a look and share some recipes too. Carb counting is far from obvious. When it comes to portion sizing, DietSensor is the only solution that takes the guesswork out of it. Why learn carb% accurately or read labels when the result is 50% inaccurate due to a 50% error in the portion estimation. DietSensor is able to connect with a food scale using Bluetooth open technology. It already connects with the only scale of that kind on the market – the Nutriscale from Reflex Wireless. Although DietSensor works perfectly fine without the use of a scale, it is our goal to make our Scan & Weigh logging experience available anywhere, even at restaurants. We are currently working on this feature, so please stay tuned for more information at www.dietsensor.com. 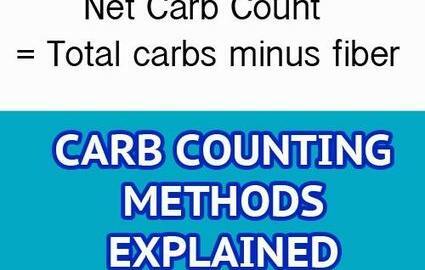 There are only 2 different carb counting methods and they are much simpler to use than you think. Let’s go over them together here and clear up any confusion. 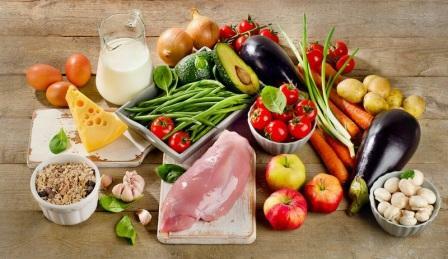 This article wisely recommends eating a whole foods anti-inflammatory diet that is lower in carbohydrates.As they say, one key point to mention is that following this style of diet means that most of the foods you eat WILL NOT COME IN A PACKET! This means the majority of the foods you eat will not have a food label. Broccoli, carrots and kale don’t need a food label. That’s where DietSensor can help a little. If you want to learn carb % by scanning your food or if you already know them approximately but want to gain accuracy, DietSensor will provide numbers with a mere click of a button.